Bombard einsteinium-253 with alpha,n particles. Bombard einsteinium-253 with alpha,2n particles. Bombard einsteinium-253 with alpha,3n particles. Bombard einsteinium-255 with alpha,n particles. 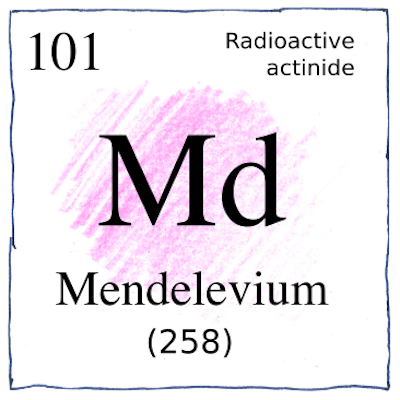 Sixteen radioisotopes and five isomers of mendelevium have been created. Some would say they have been discovered.